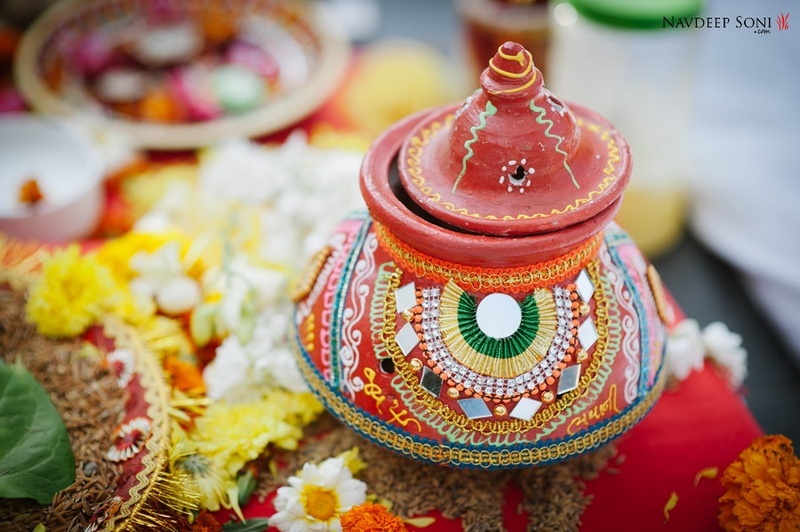 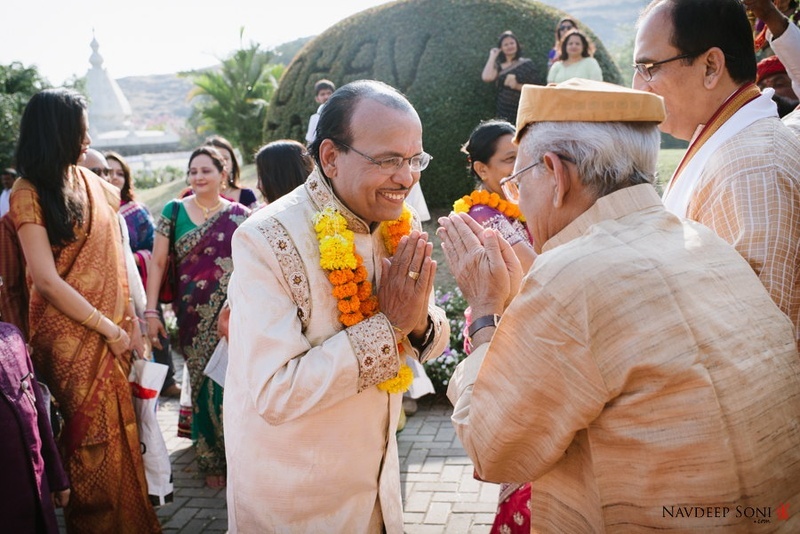 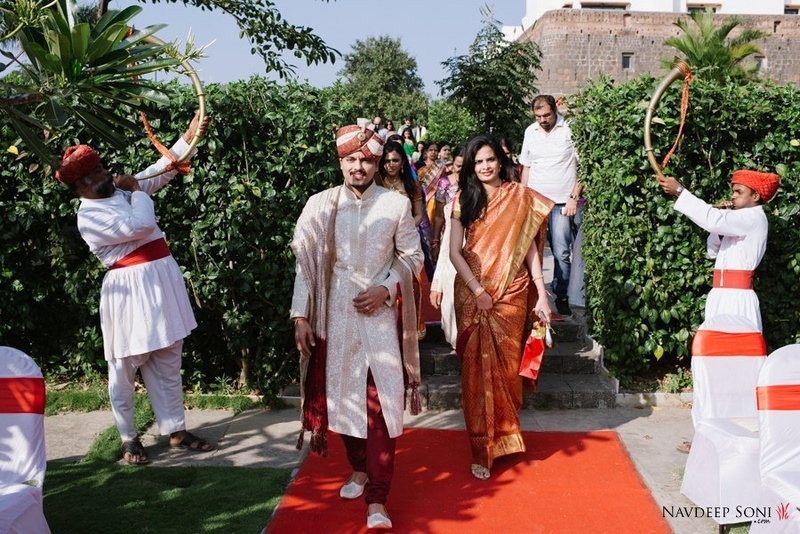 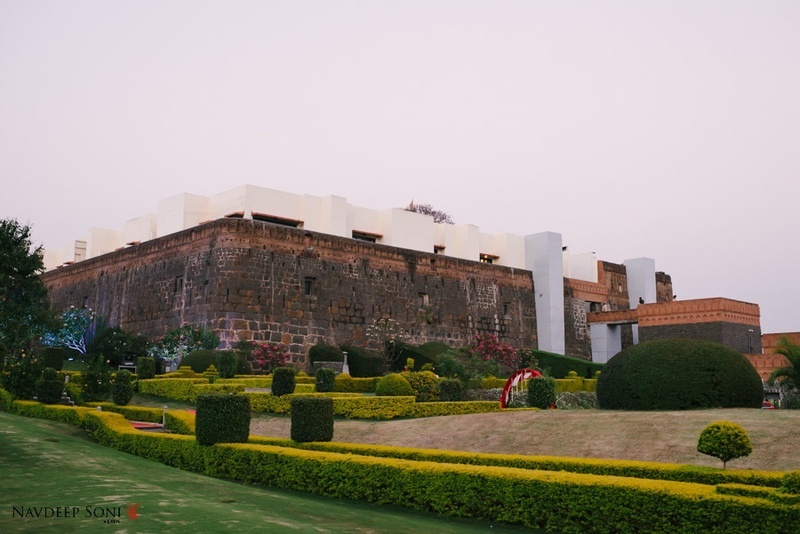 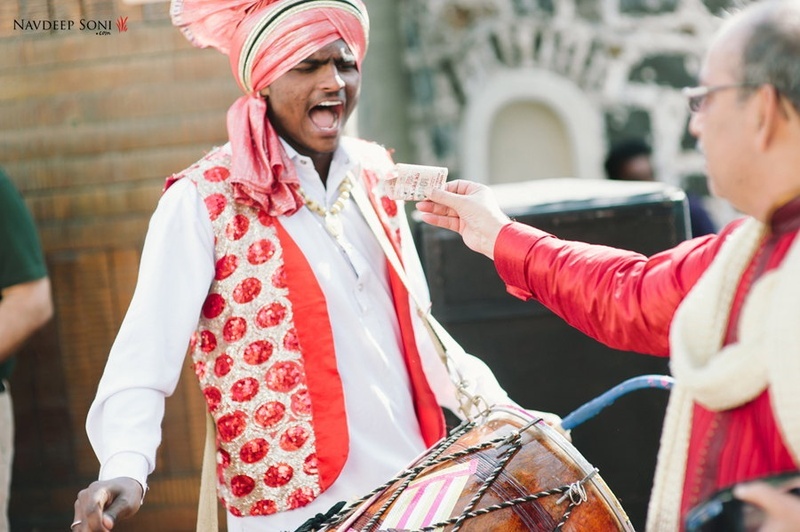 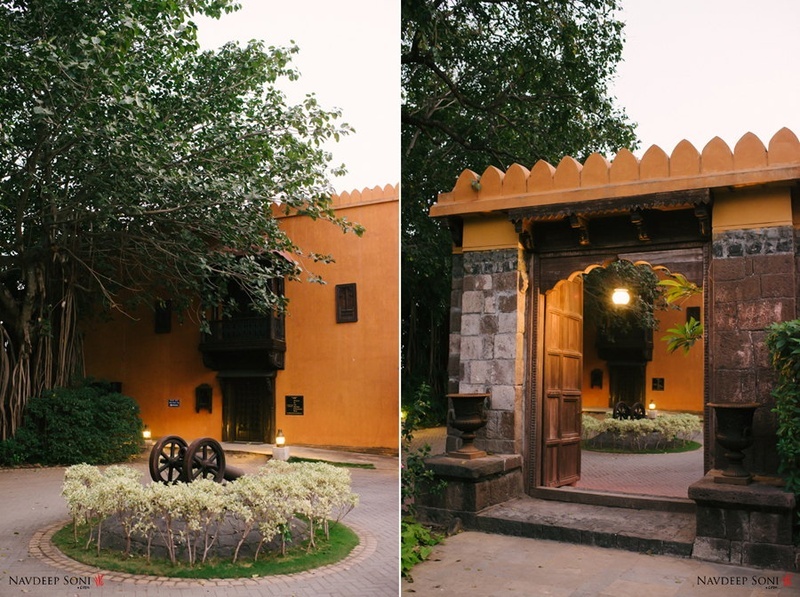 This small, intimate wedding held at Fort Jadhavgarh, Pune is giving us all the fresh inspiration we need. 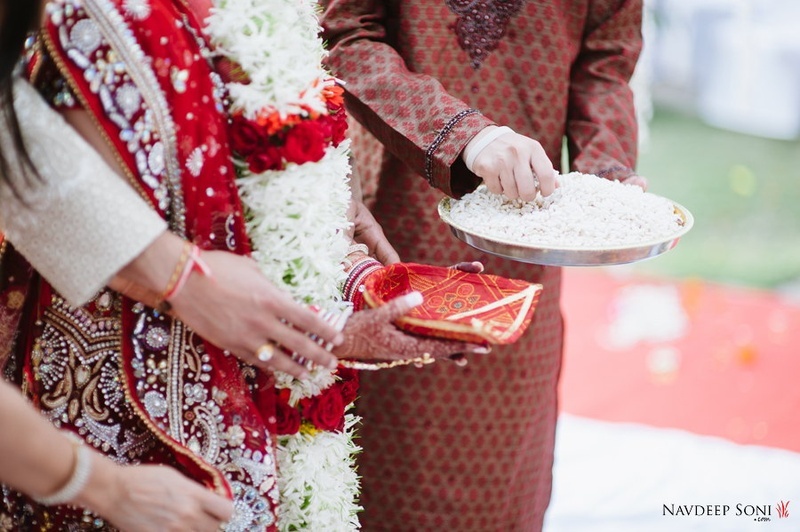 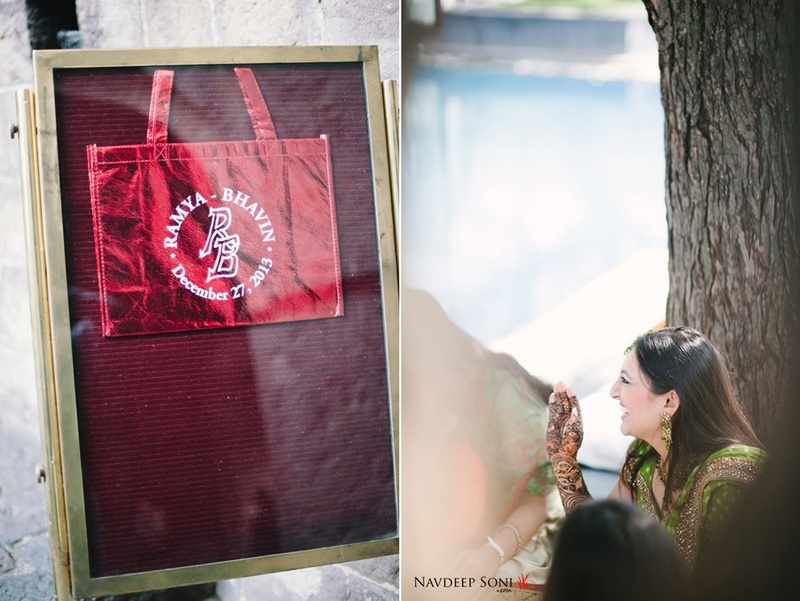 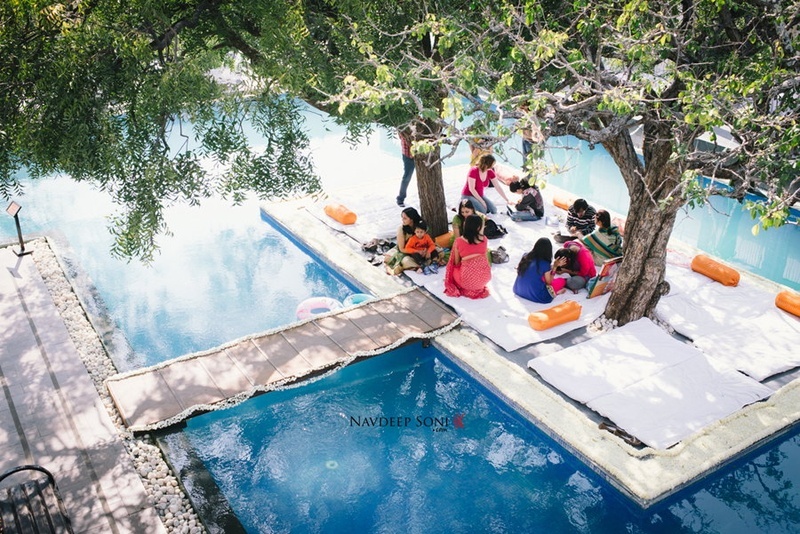 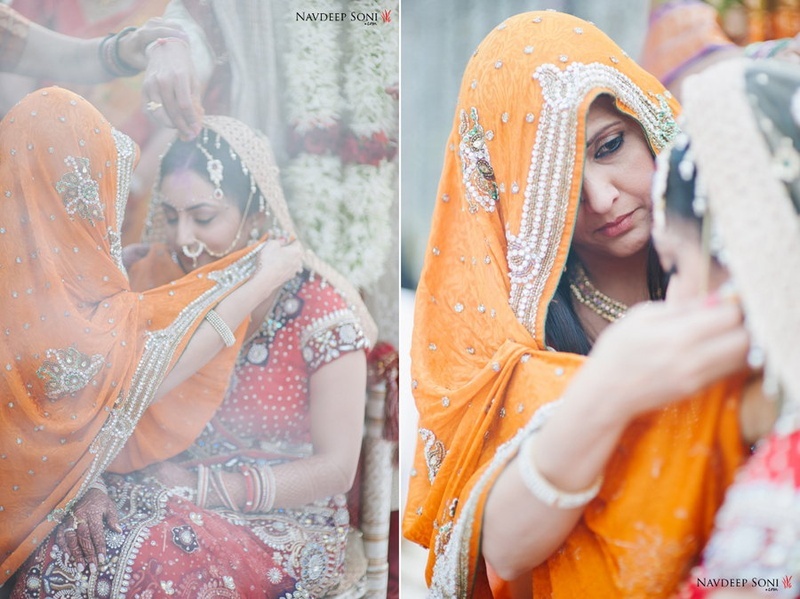 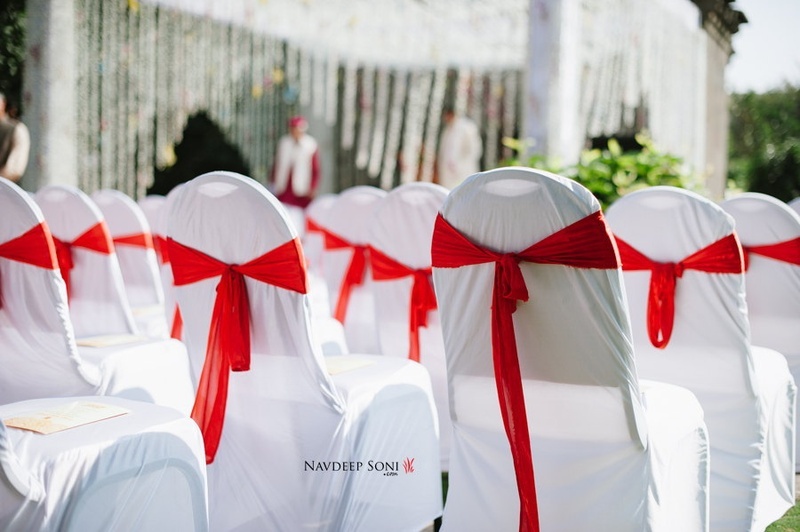 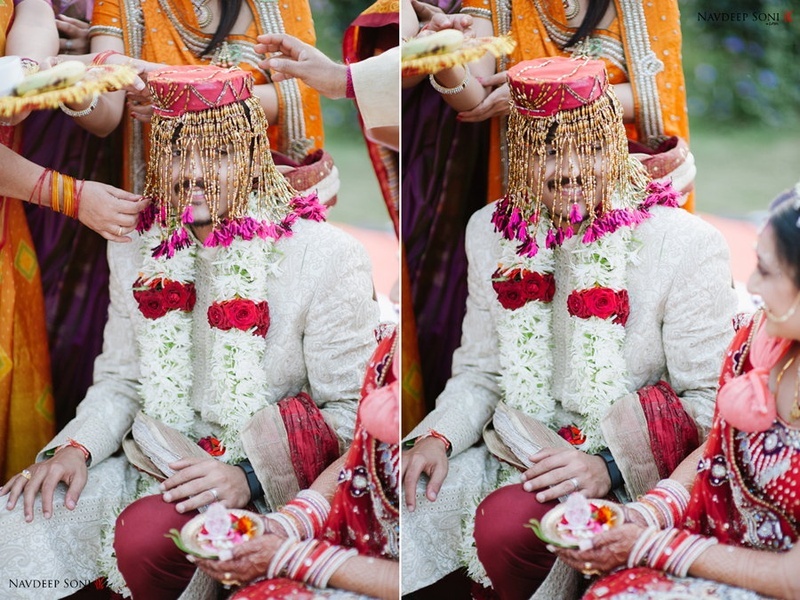 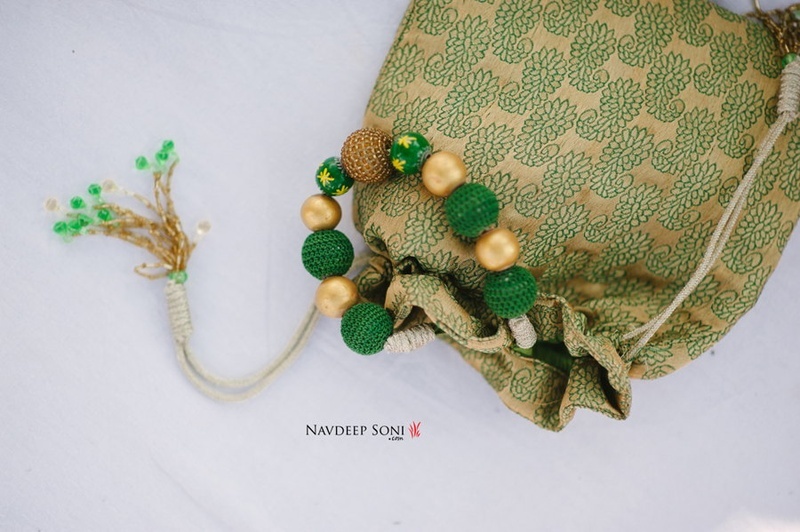 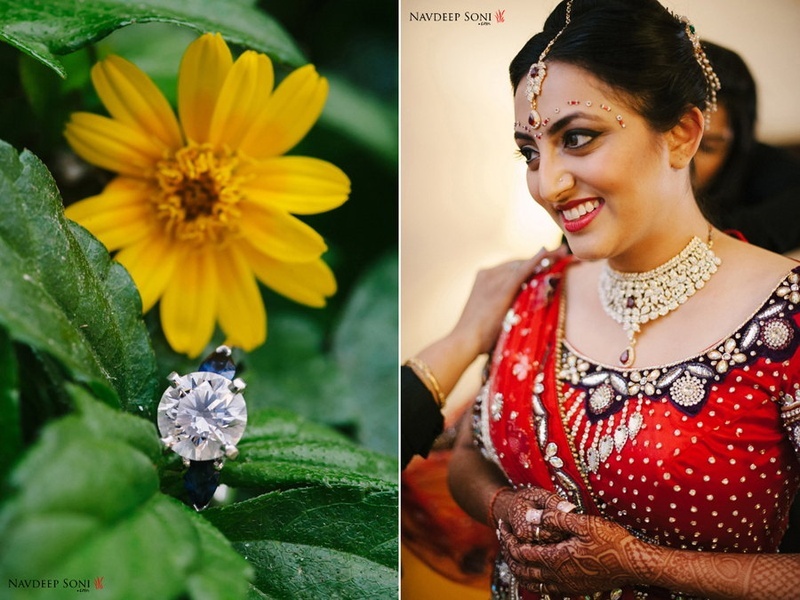 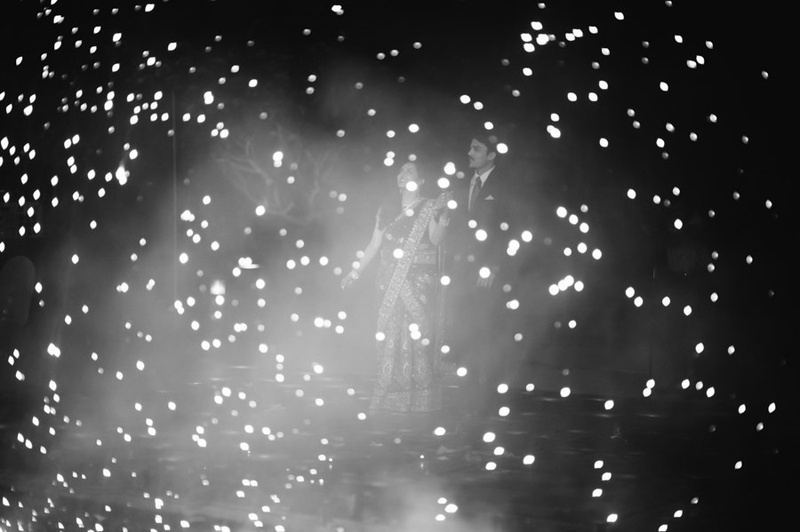 A wedding captured by Navdeep Soni in all its raw beauty. 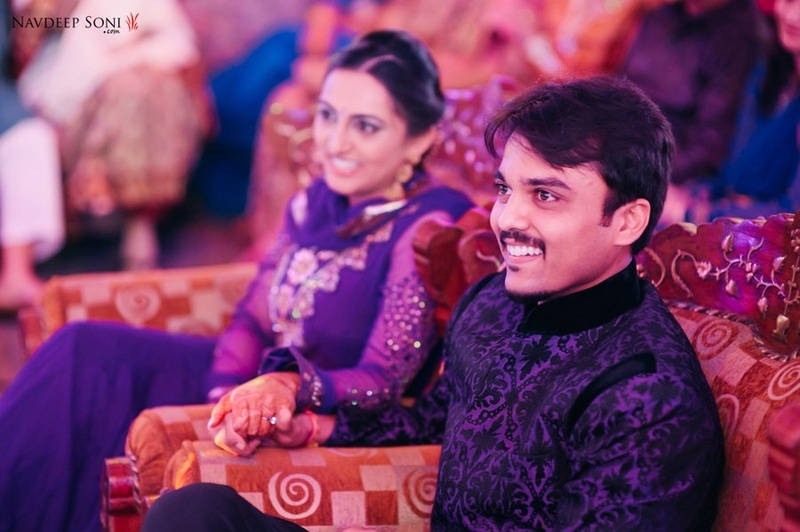 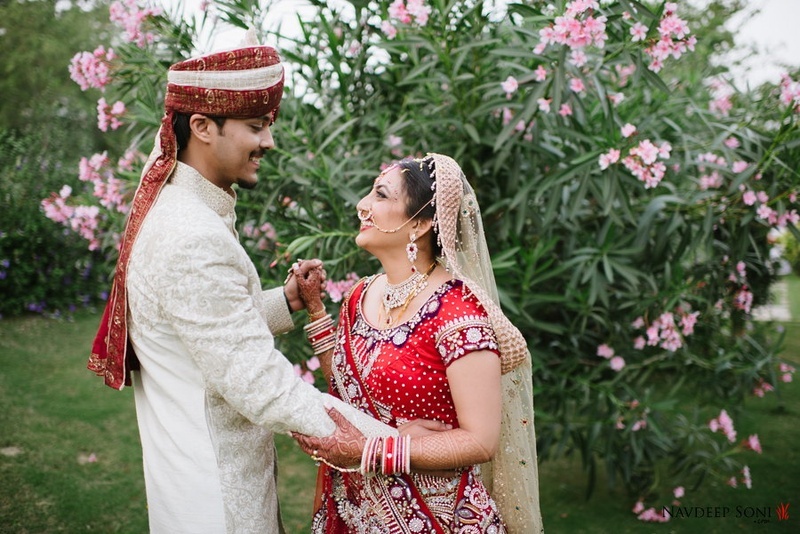 Untouched, with no harsh filters, he shot Ramya and Bhavin’s wedding with a keen eye for detail. 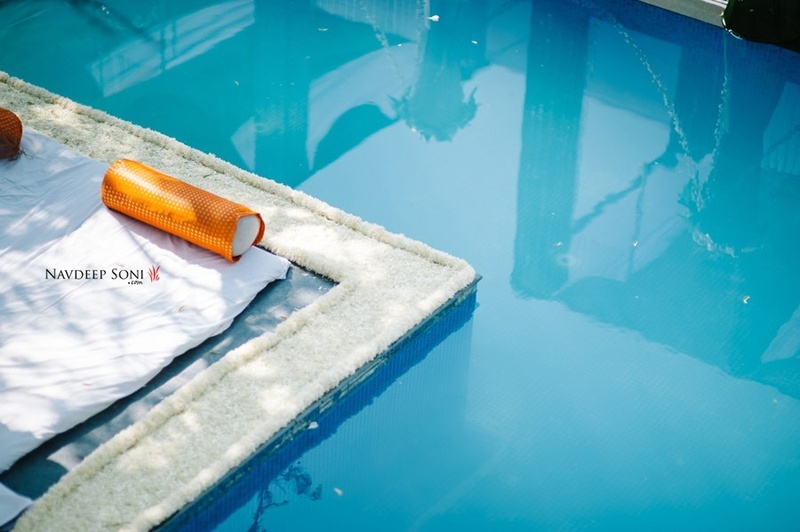 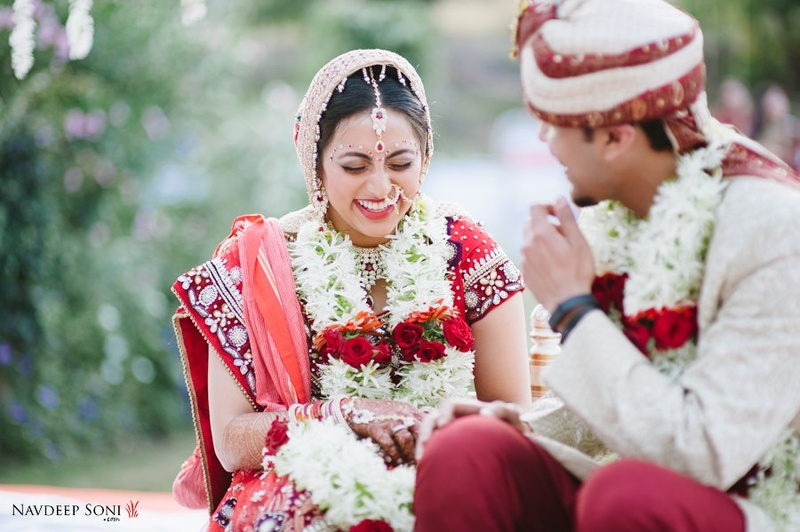 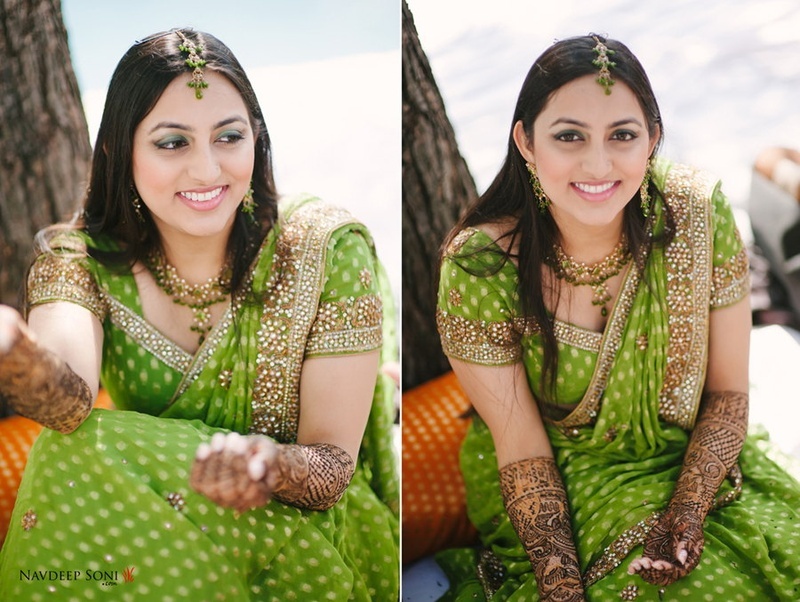 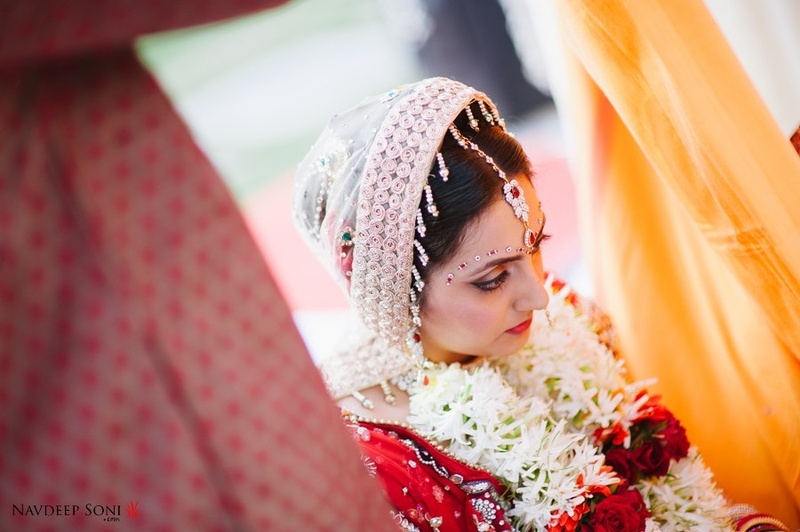 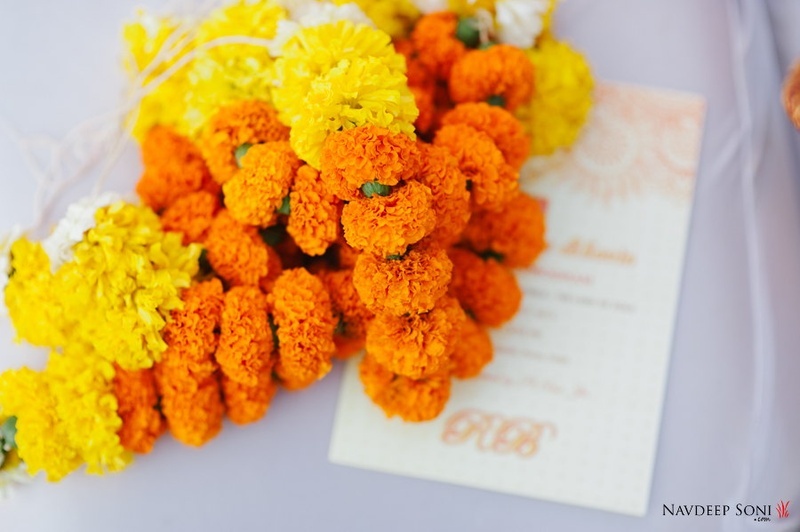 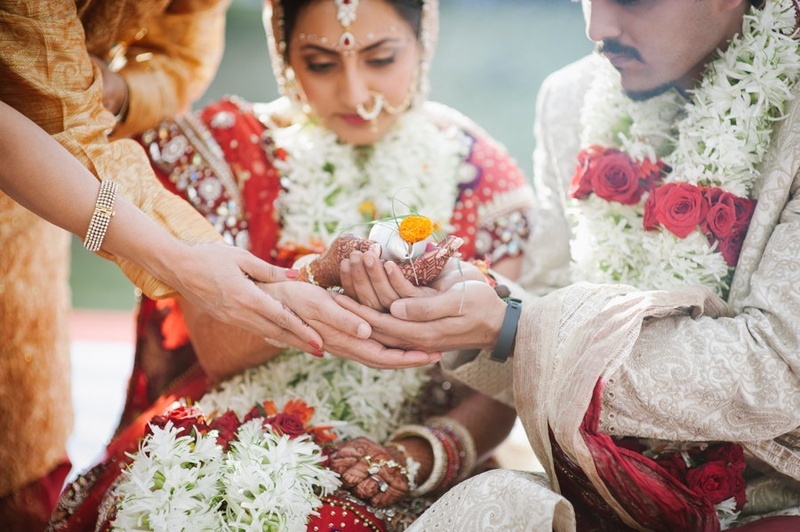 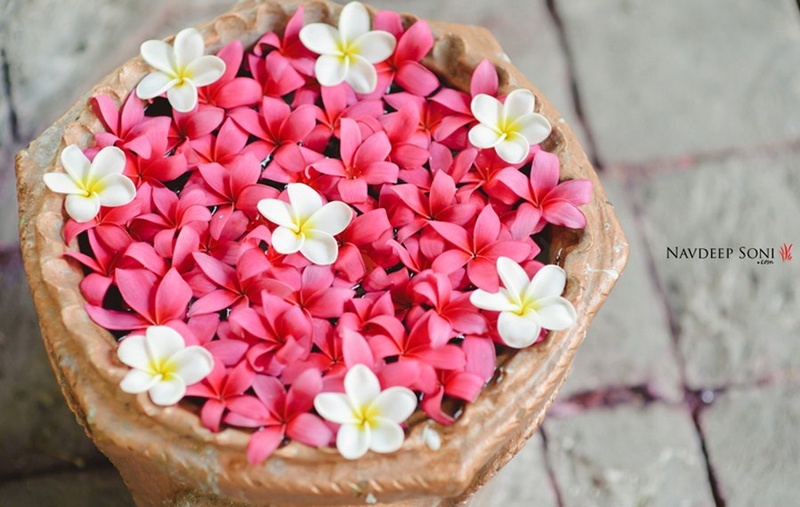 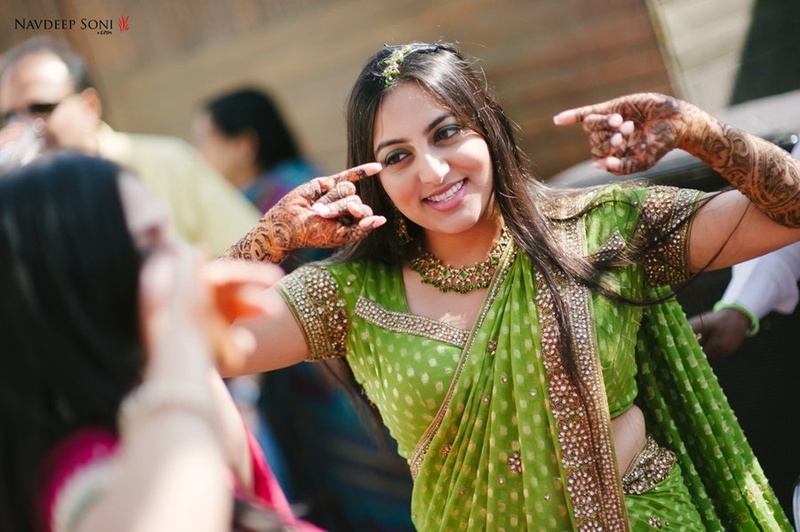 Their wedding celebrations began with the pool side mehndi ceremony. 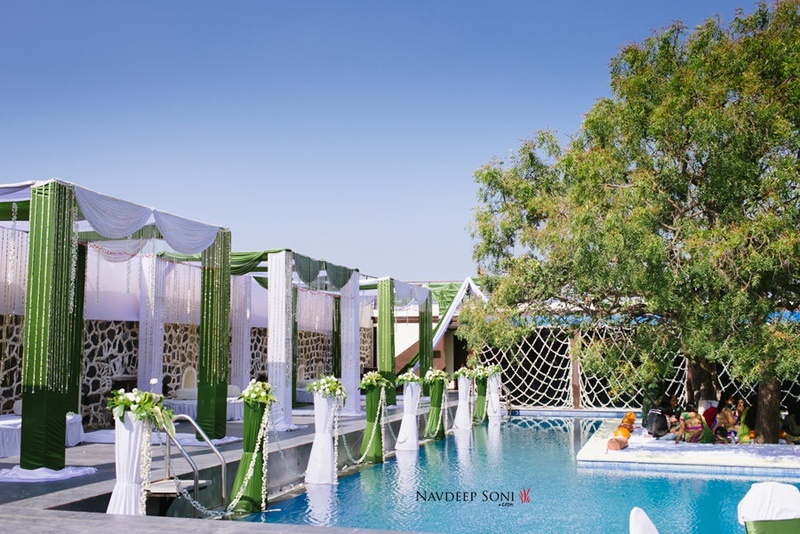 Held under a tree with a chic green and white theme – it was earthy, beautiful and classy all at once. 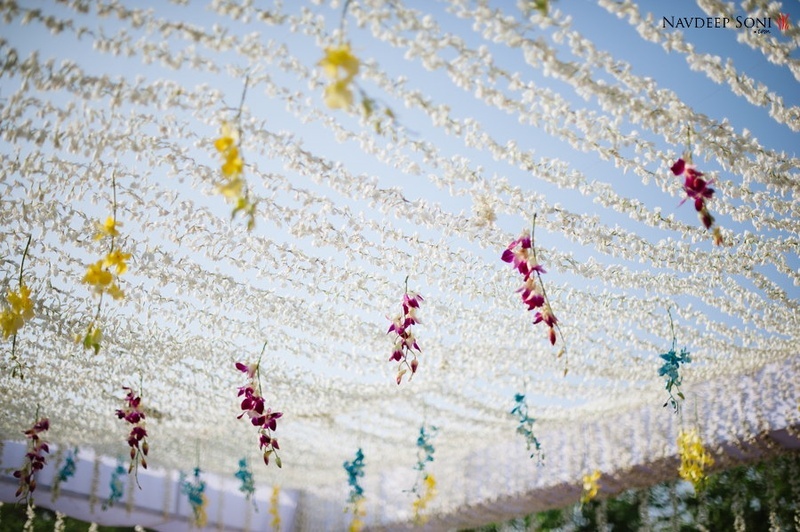 The crystal strings and white floral details were a perfect addition to these two-tone décor details. 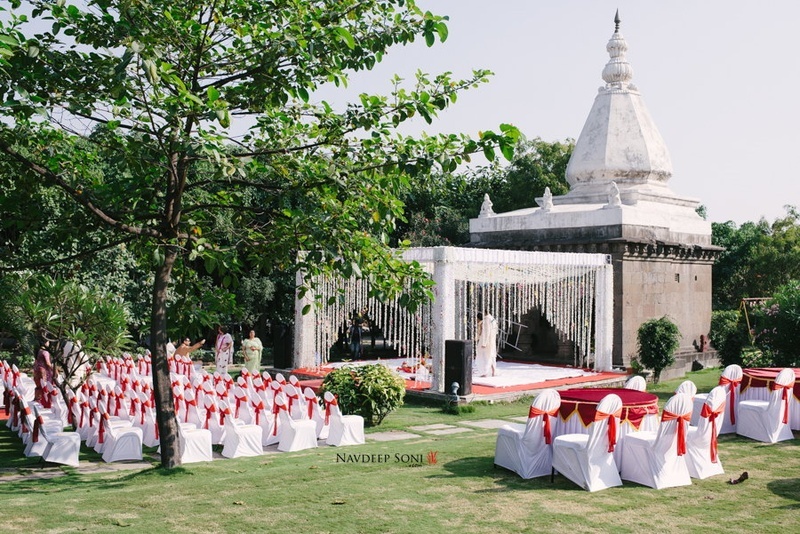 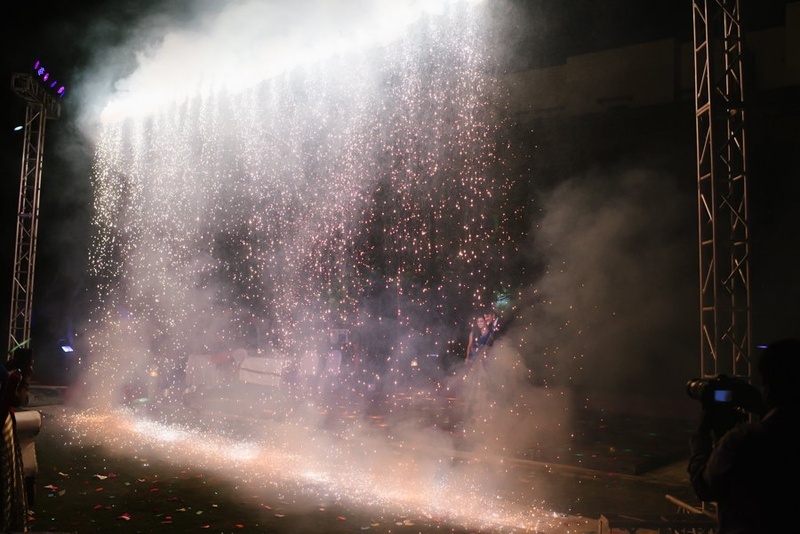 Executed and conceptualized brilliantly by Nikhil Ahuja from Rajneeta Events - each décor detail from the green and white mehndi to the all-white and red wedding was beautifully done. 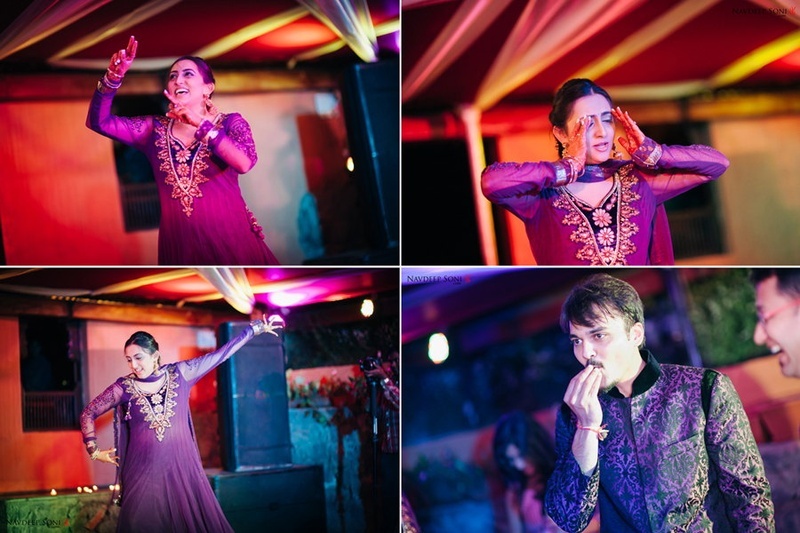 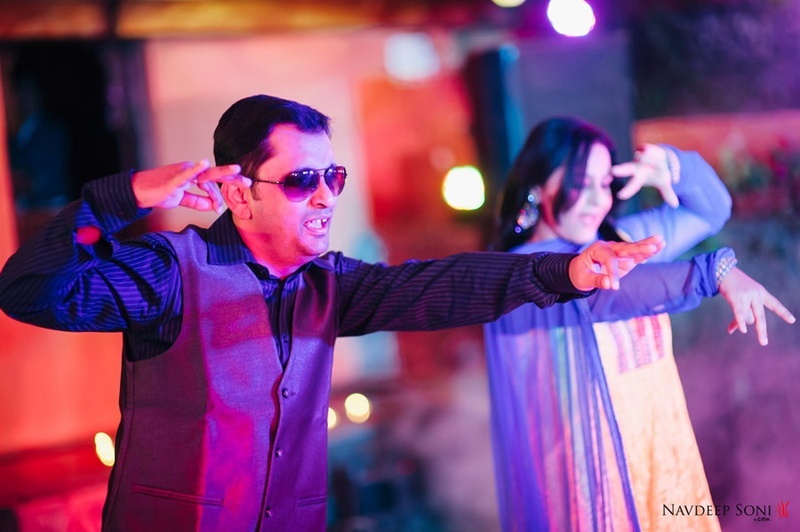 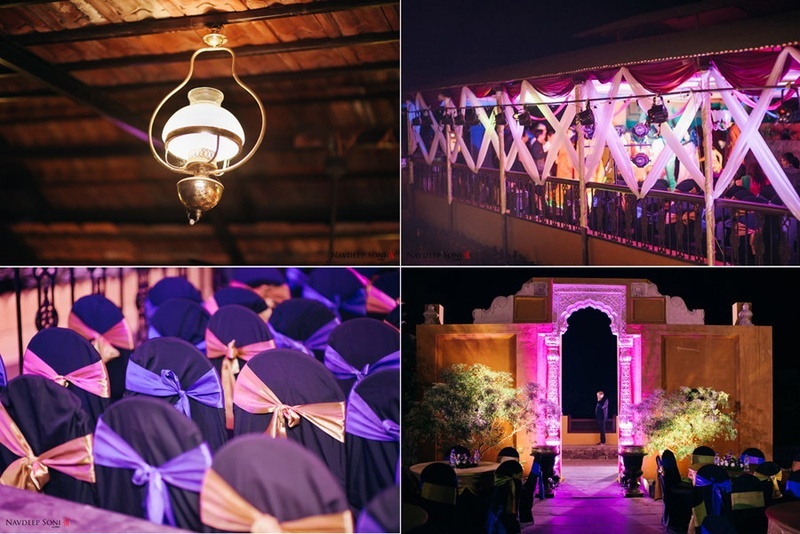 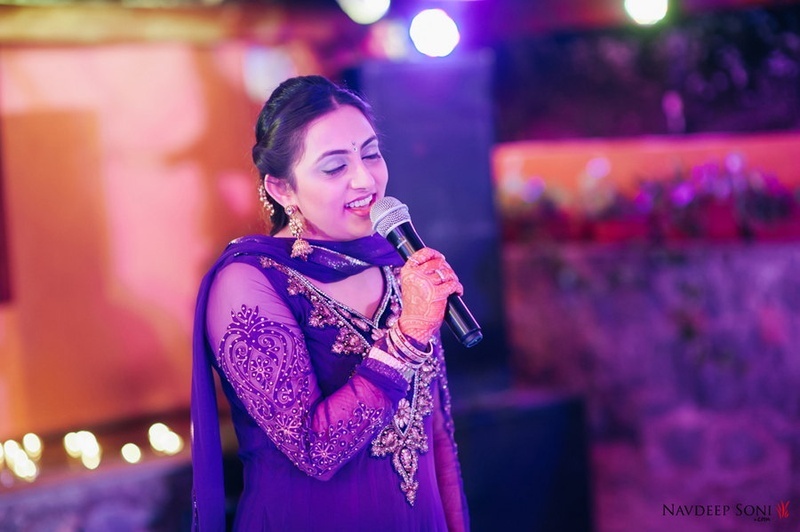 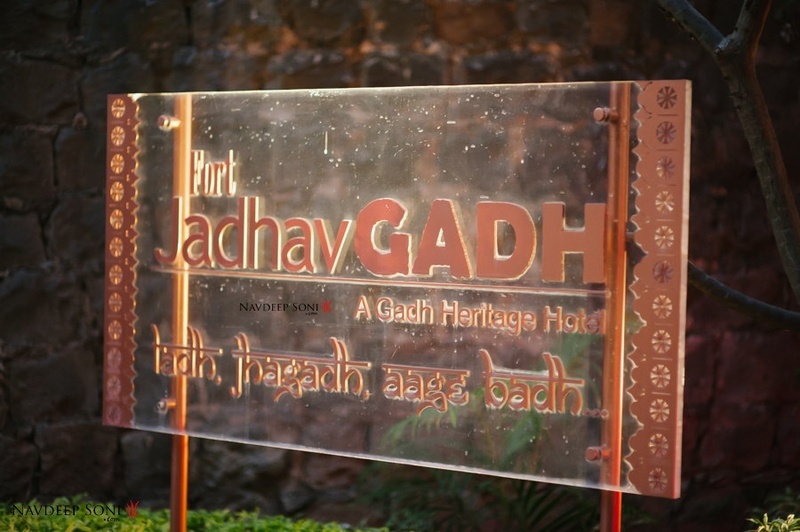 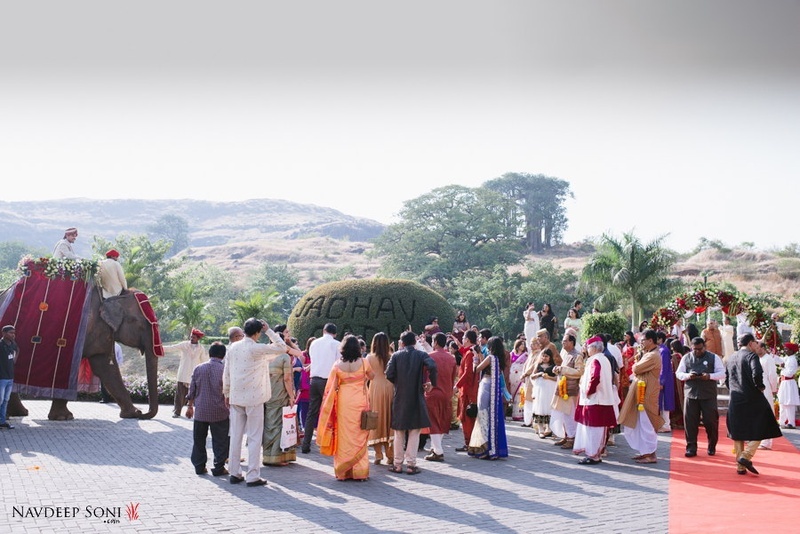 The sangeet too had a complete Bollywood theme, fit for a wedding venue like Fort Jadhavgarh, Pune. 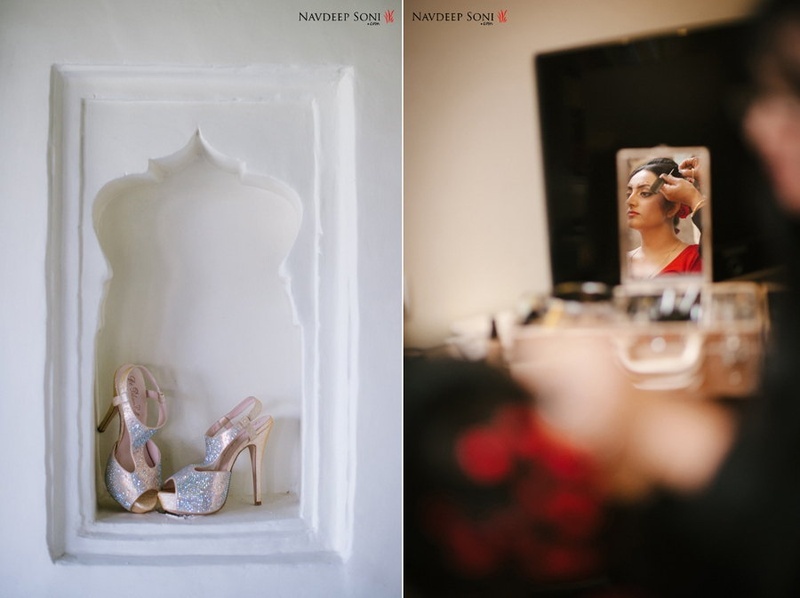 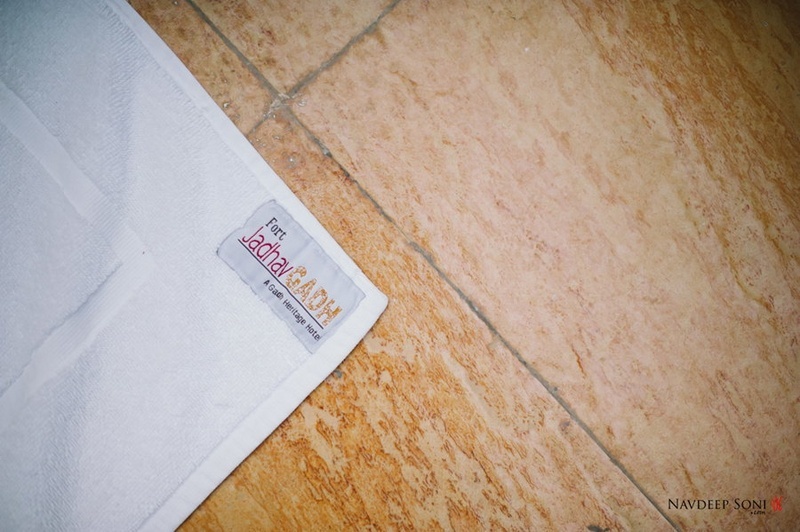 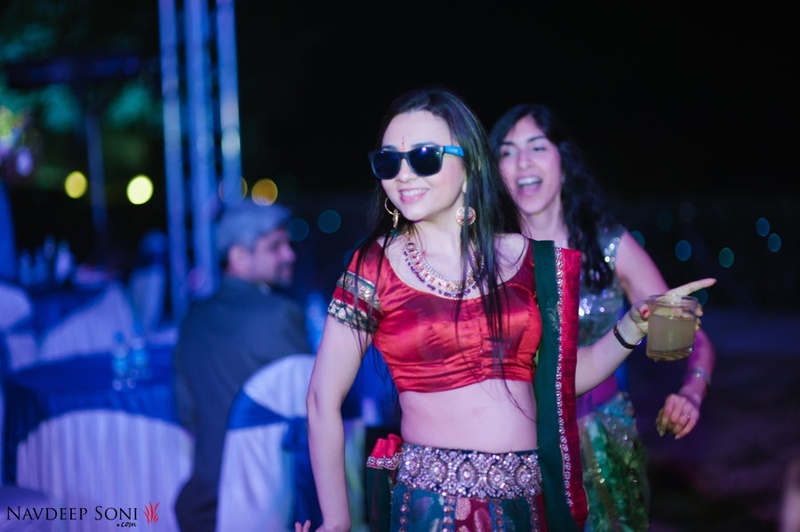 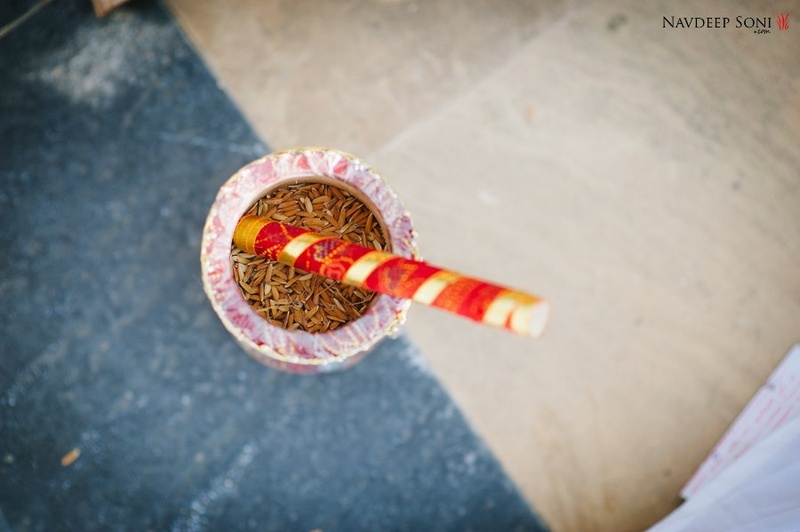 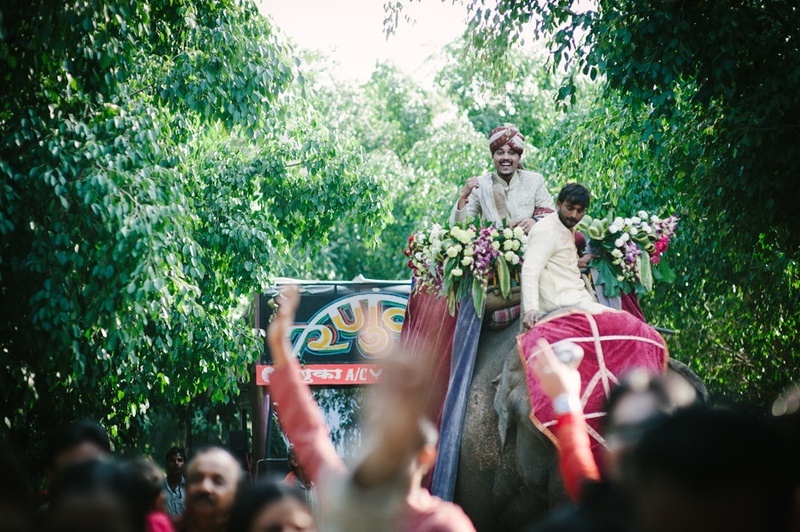 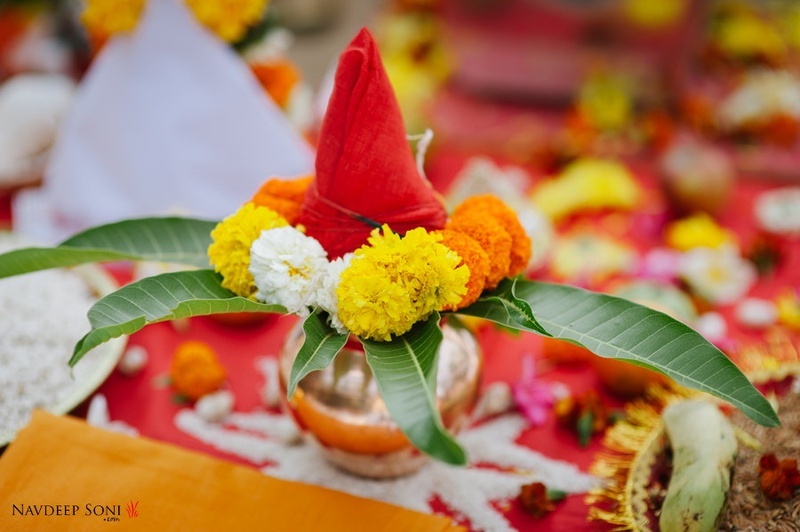 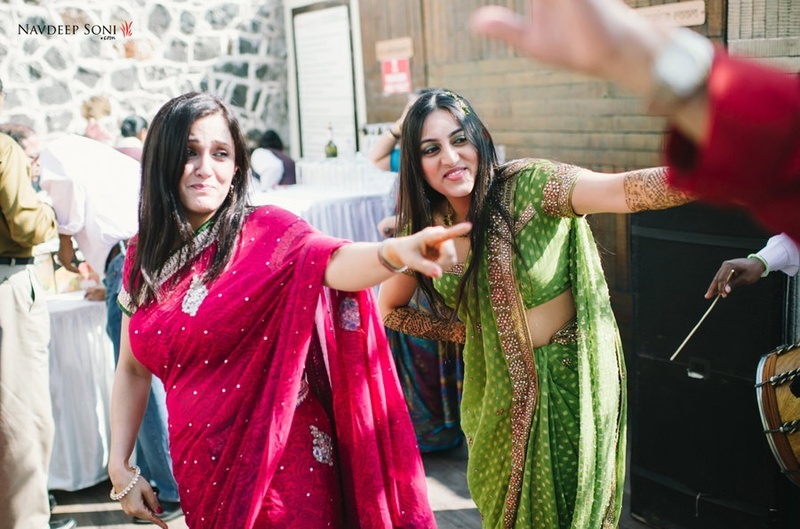 A two day wedding filled with loads of fun, desi dancing and a so much love. 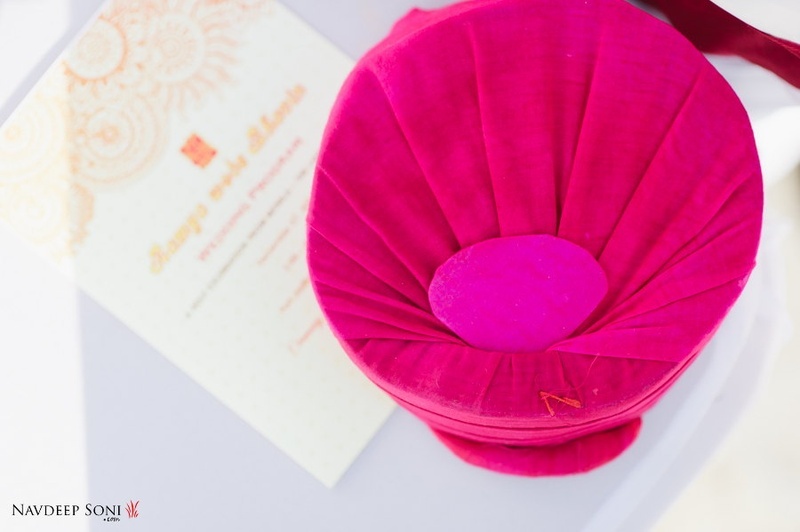 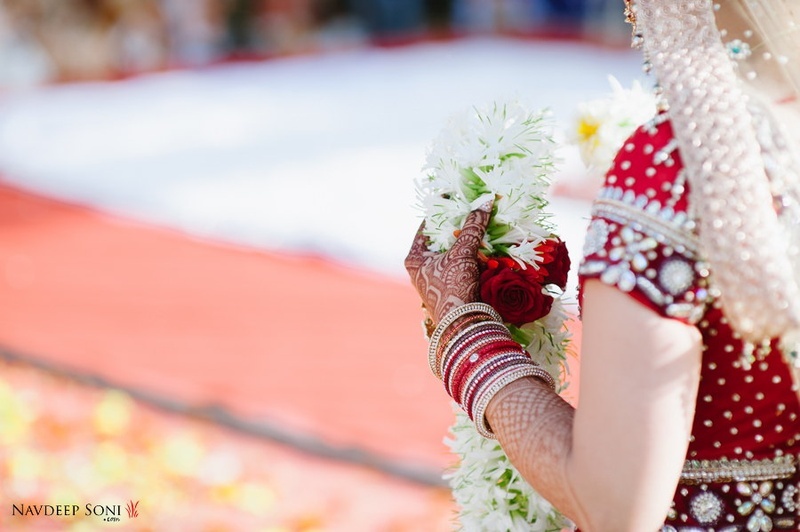 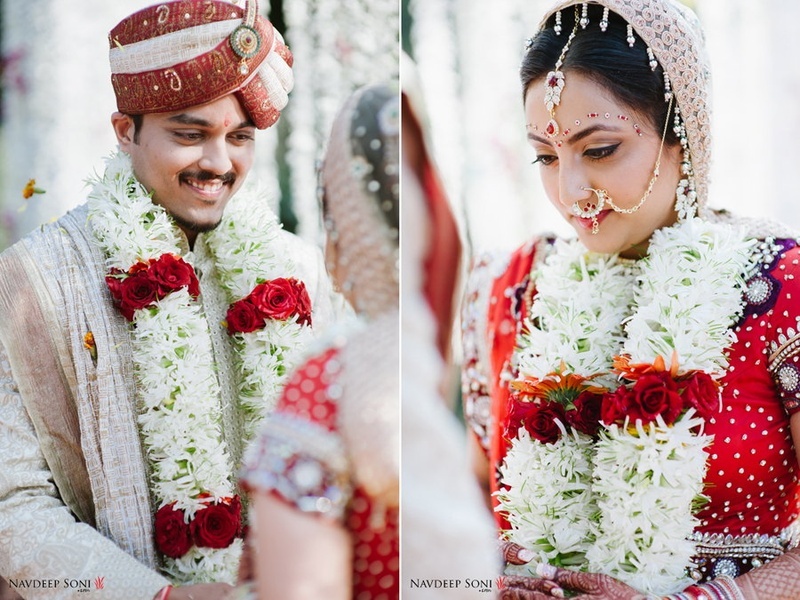 What to look out for as you scroll through this wedding – Ramya and Bhavin’s wedding mandap exclusively made with strings of jasmine, this gorgeous brides flawless makeup done by Dishita Solanki and the distinct color themes of all the wedding ceremonies. 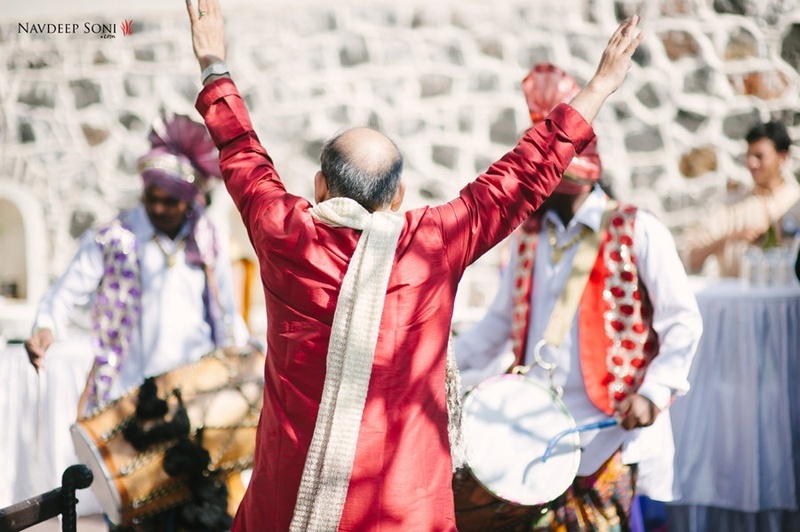 dhol walla playing it loud!